Friday, Friday! This week flew by and I'm not at all upset about it. I didn't get as much relaxing time as I thought I would, but I'm looking forward to a low-key night tonight and some leisure plans this weekend. 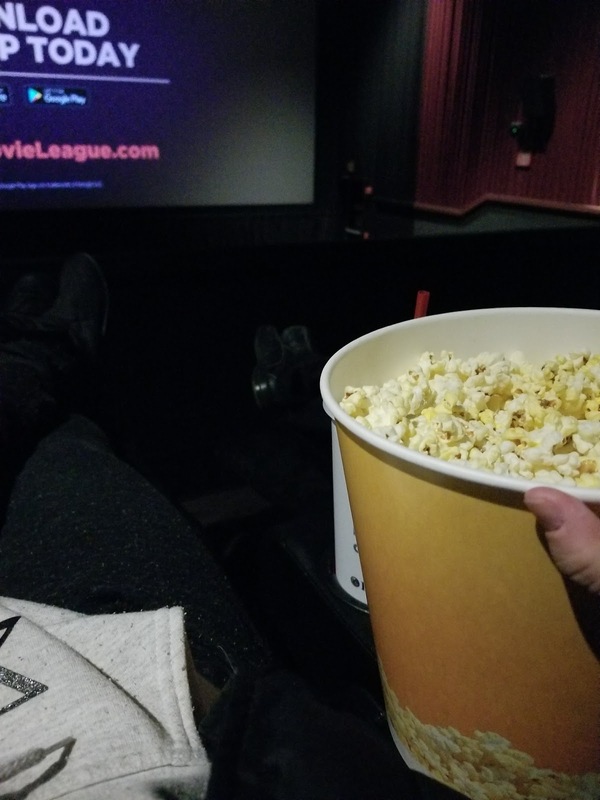 On Tuesday I went with my mom and siblings on a spontaneous movie night. We saw Three Billboards Outside Ebbing, Missouri and while I don't necessarily need to see the movie again, I absolutely loved it. Such smart, funny, and dark writing and the performances were incredible. The Oscars they won were very deserving. Frances McDormand is such a badass (in life and in this movie). And I got to eat popcorn for dinner which is always a win and a favorite in my book. It's definitely a favorite when Sammy sends me snapchats of houses for sale from the window of his squad car. We threw a little baby shower for one of my coworkers on Wednesday and it a sweet little intermission in the workday. I made the little garland by hanging some socks and hats and our momma loved it. 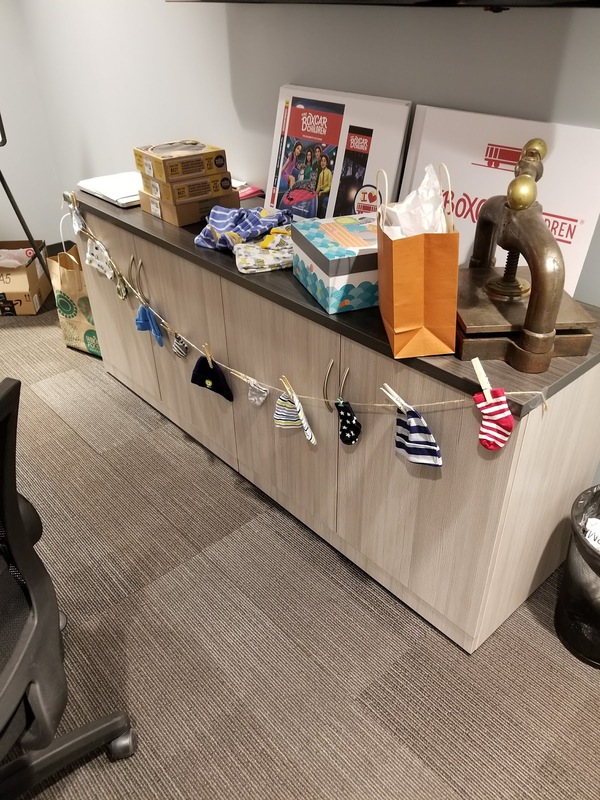 How can teeny socks and hats not be a favorite?! 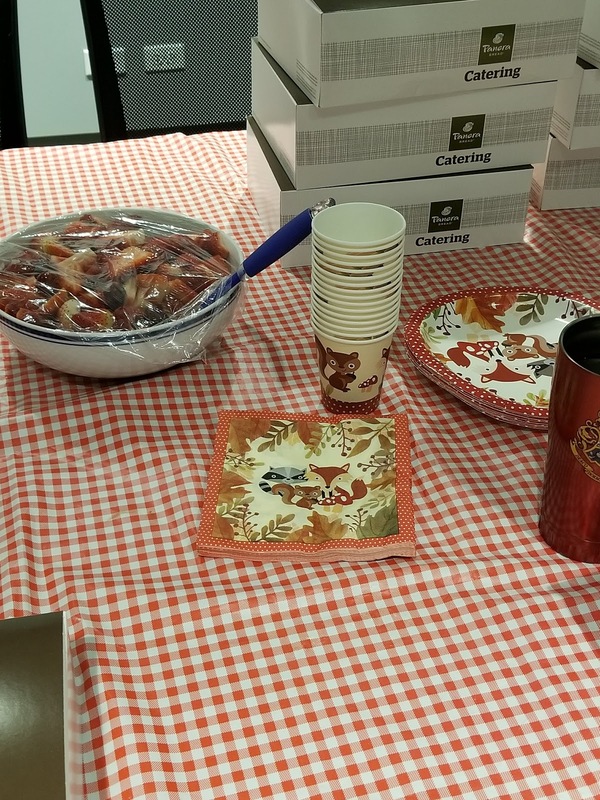 We ordered Panera, played a celebrity baby picture game, had some pie for pie day, and incorporated some woodland details since that's the theme of their nursery. 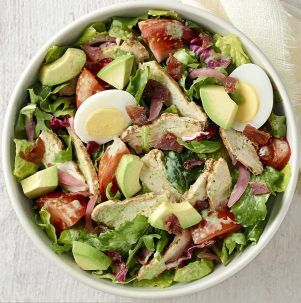 I ordered Panera's Green Goddess Cobb Salad and I loved it. I'm sure the dressing wasn't the healthiest of choices, but that's probably why I loved it haha. Happy to find a salad I won't mind eating! 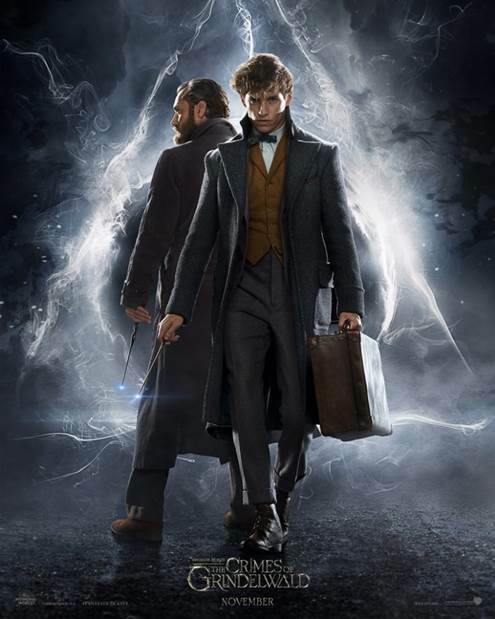 I can't believe I'm including something Harry Potter related on here because, despite having recently read the entire series and actually not hating it like I thought I would, I'll never be like a die hard fan because I'm simply too cynical, BUT the trailer for the second Fantastic Beasts has me intrigued. I didn't see the first because I didn't hear great things, but now I'm going to watch because I want to see this one. If you saw the trailer, what did you think?? I finally got my library's copy of this book and I'm loving it. 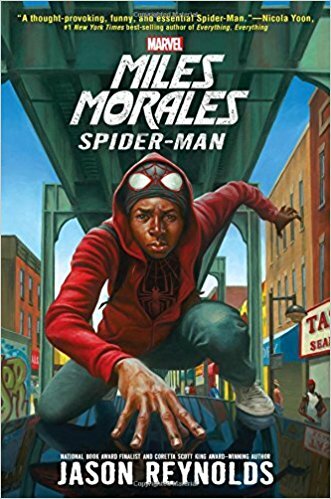 I'm a Marvel convert (I'm totally obsessed now thanks to Sammy) so it's easy for me to like stuff about Spider-Man, but this is even better because it's written by Jason Reynolds whom I professed my admiration for a few weeks ago during my February Book Review post. It's so awesome to see a diverse Marvel character brought out in book form. This would be perfect to read with a fifth or sixth grader or for anyone older (or younger depending on reading level) to read on their own. Funny, yet age appropriate, and compelling. Can't wait to keep going. 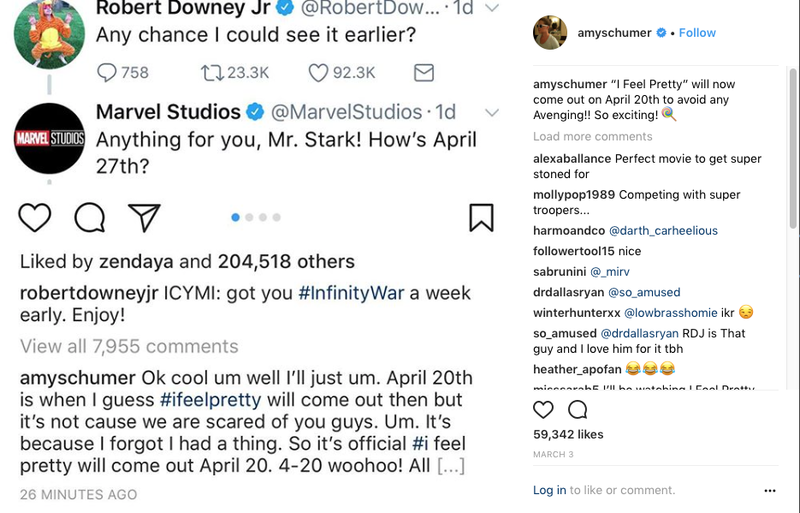 I also can't wait to see I Feel Pretty. Can't. Wait. It's looking like our St. Patrick's Day plans are super up in the air, so we'll how tomorrow pans out. Otherwise, I'm looking forward to putting in some major relaxing time this weekend. Linking up with Andrea and Christina. 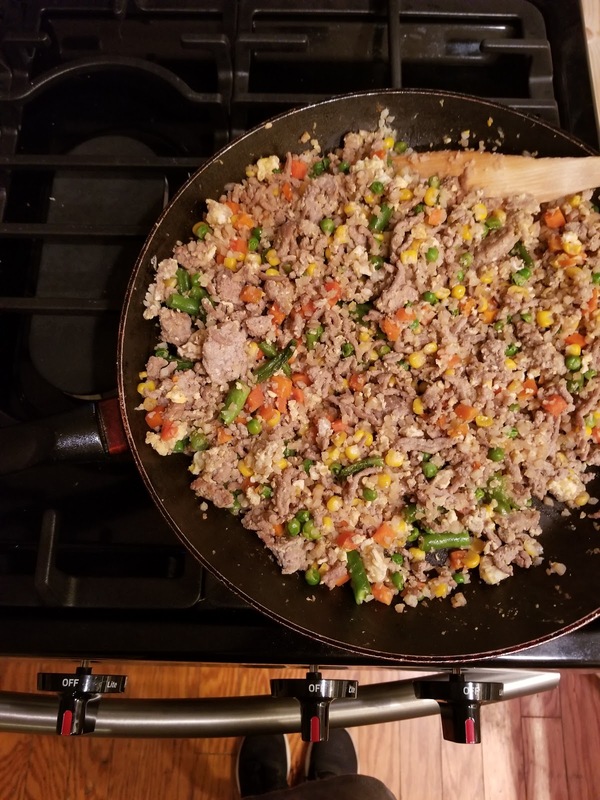 I've never tried cauliflower rice before, but I think I'm going to try it soon. The garland you made for the baby shower is really cute! Definitely give it a try! It's not the real thing, but it's a substitute I can stand. Thanks, lady!